Winging it with wet wipes. The only way! Are you ready for some… wings? In addition to pizza, no other food quite makes the coffee table cut on game night like chicken wings. Wings are synonymous with sports, and everyone has a preferred rendition, from buffalo to teriyaki and all the heat levels in between. 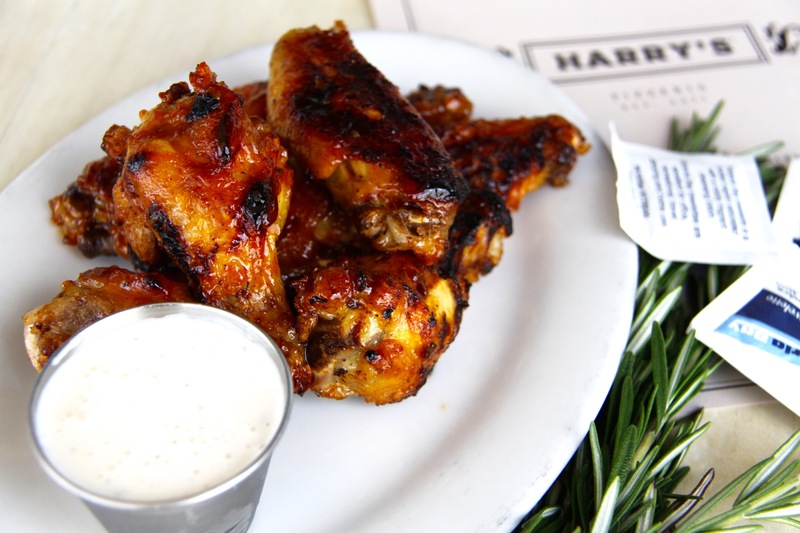 Harry’s Pizzeria® began offering its own take on chicken wings as a special during the 2014 NBA Finals. When a game was on TV, the wood oven was calling the shots as agrodolce sauce hit the sizzle plate announcing to the entire dining room that it was wing time. The tickets flew in. They were an instant hit and quickly returned for football season later that year. Now printed on the menu, they’re a part of the Harry’s experience and one we can look forward to on every visit. Agrodolce is Italian for sour (agro) and sweet (dolce), a reduction of vinegar and sugar that is sticky, sweet and tangy — perfect wing material. 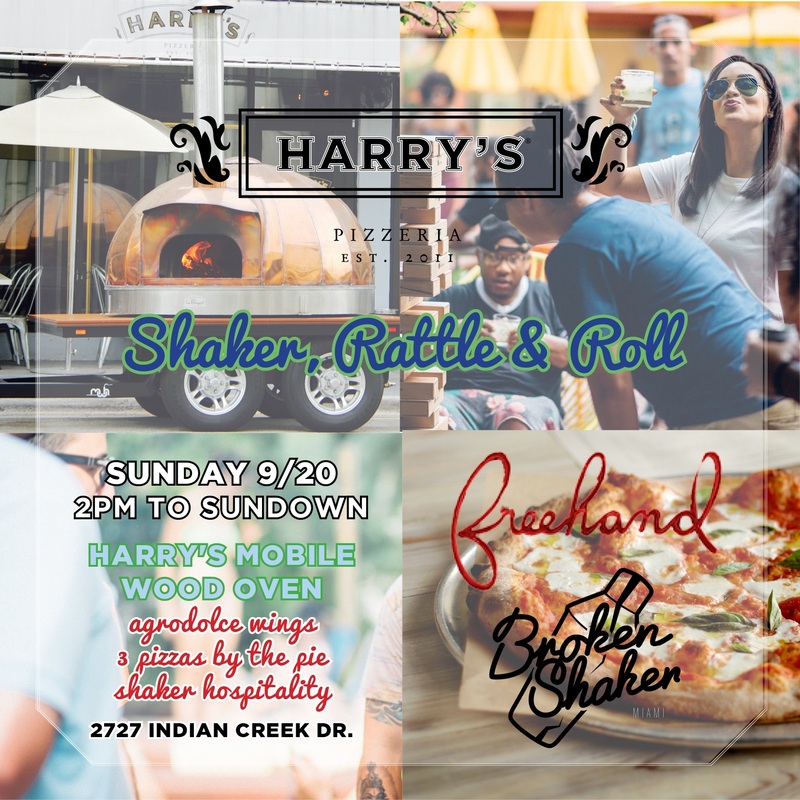 Step up to our new mobile oven this Sunday as our casual neighborhood joint hits the road for the first time at the Broken Shaker. Michael made the money call that Wood Oven Roasted Agrodolce Wings with Rosemary Crema were coming along for the ride, in addition to a menu of three pizzas sold by the pie. Wingman chef de cuisine Daniel Ramirez shares the recipe here. Nothing quite roasts like a 800 degree wood fire, but this recipe is adapted for your home oven both in cooking time and temperature, so you can contend with the pros. Make the agrodolce sauce by combining hot sauce, honey, red wine vinegar, grape seed oil, and ground fennel in a blender, processing until smooth and incorporated. Store in an airtight container. Now make your rosemary crema, whisking mayonnaise, lemon juice, rosemary, garlic, onion, salt, pepper, and buttermilk in a large bowl. If you have an immersion blender that would work too. Toss the wings in salt and olive oil, and spread out in one layer onto two baking sheets and put them in a oven until golden and sizzling, about 30 minutes. Half way through, give them a good shake and stir with a large metal spoon taking care not to let too much heat escape the oven. When they’re done, take them out of the oven and turn it to broil. Toss the wings right on the sheets with your desired amount of agrodolce sauce, about 1 cup per tray. Place them back in the oven until they are nice and roasted, taking care to watch them develop a little char on the skin, but not too much, about 5 more minutes. Toss them with the remaining sauce and a pinch of salt and enjoy with rosemary crema to dip on the side! It keeps for about a week stored in an air tight container in the refrigerator… If there is any left!